In Prepration Huang, Chu-Ren Humanities: Bridging the divide To appear in Chu-Ren Huang (Ed. ), Digital Humanities: Bridging the Divide. Springer. 2016, in print Huang, Chu-Ren, and Qi Su. Chinese Computational Linguistics: the State of the Art. In Rint Sybesma (Ed. 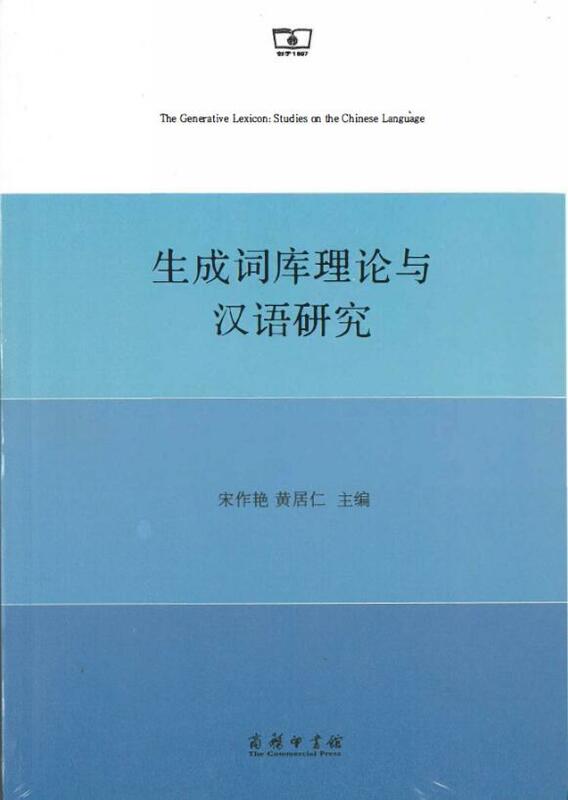 ), Encyclopedia of Chinese Language and Linguistics. Brill. 2016, in print Chen, Keh-Jiann, and Chu-Ren Huang. Modern CChinese Balanced Corpus of Academia Sinica. In Rint Sybesma (Ed. ), Encyclopedia of Chinese Language and Linguistics. Brill. 2013 Huang, Chu-Ren, and Jing-Xia Lin The ordering of Mandarin Chinese light verbs In Dong-Hong Ji and Guo-Zheng Xiao (Eds. ), Chinese Lexical Semantics: 13th Workshop, CLSW 2012, Wuhan, China, July 6-8, 2012, Revised Selected Papers (pp. 728-735). Berlin Heidelberg: Springer-Verlag. 2010 Vossen, Piek, Eneko Agirre, Francis Bond, Wauter Bosma, Axel Herold, Amanda Hicks, Shu-Kai Hsieh, Hitoshi Isahara, Chu-Ren Huang, Kyoko Kanzaki, Andrea Marchetti, German Rigau, Francesco Ronzano, Roxane Segers, and Maurizio Tesconi KYOTO: A wiki for establishing semantic interoperability for knowledge sharing across languages and cultures In Emmanuel G. Blanchard and Danièle Allard (Eds. ), Handbook of Research on Culturally-Aware Information Technology: Perspectives and Models (pp. 265-360). Hershey, PA: IGI Global.